If you enjoy drawing, sketching or doodling–you know the importance of the right sketchbook. The design and paper are super important factors when you have to create your next extraordinary sketch or drawing. 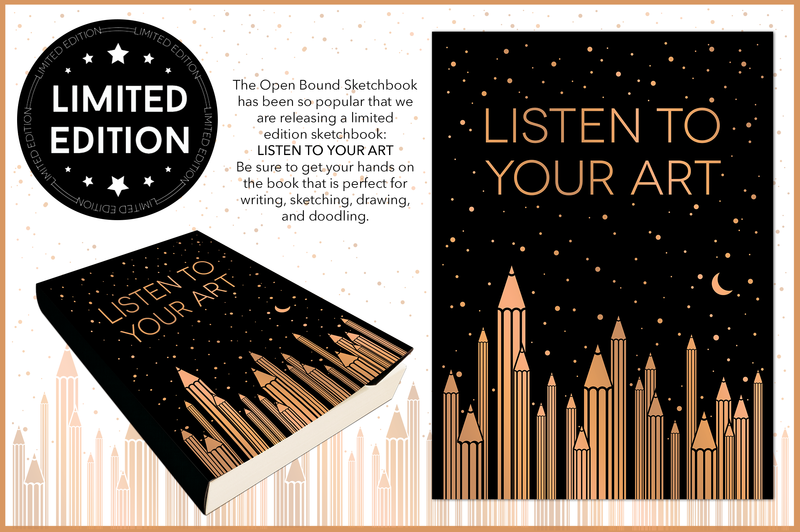 Piccadilly created that perfect sketchbook with The Open Bound Sketchbook and it has been so popular that we are releasing the limited edition: Listen To Your Art. With a beautifully illustrated copper foil stamping cover, it can only inspire and decorate any surface around your house or be the item that you’re always proud to take out of your bag and start your next creation. The revolutionary design of the Openbound Sketchbook lets it lay completely flat which makes it easier to draw and you don’t have to be annoyed with the binding. It has wood-free, acid-free, quality paper that eliminates bleed and has that nice feel under your pen. It’s in a cream color that won’t reflect shine and is the perfect medium for your creations whether you’re inside plein-air sketching. It’s essential for any novice or professional artist’s creative arsenal. But you better be quick to get your hand on Listen To Your Art as it is a limited edition. 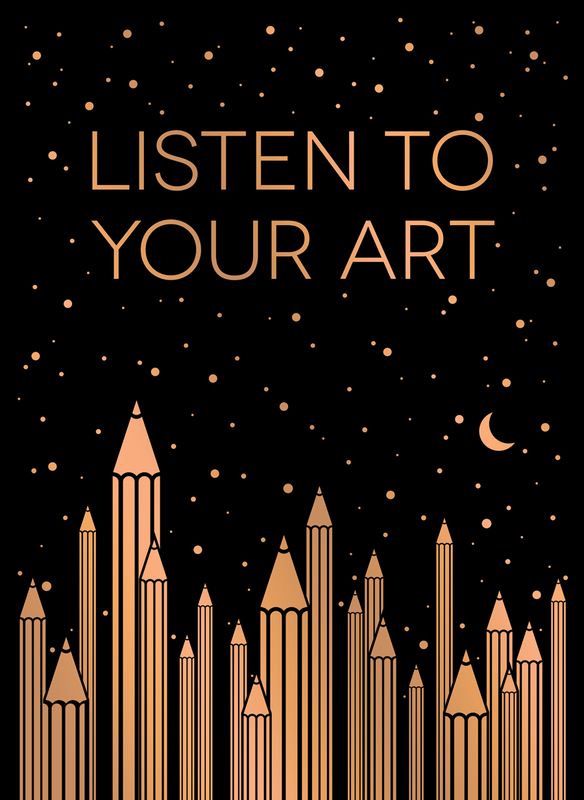 If you are looking for that one of a kind, amazing, sketchbook–grab a copy of Piccadilly’s Listen To Your Art today!